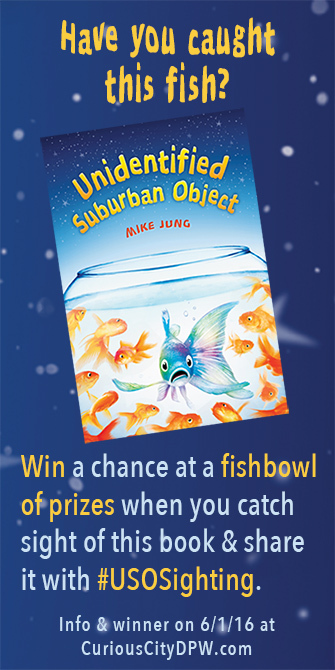 How Can You Win a Whacky Fishbowl of KidLit Prizes? 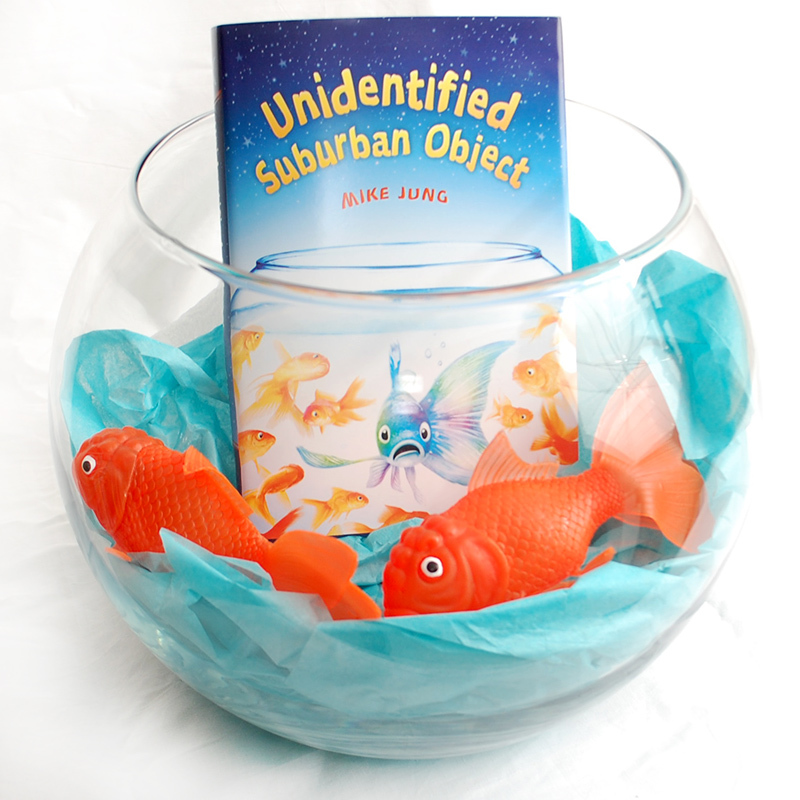 Unidentified Suburban Object on shelves or online. Snap a picture & share it on your social media. Hashtag the post with #USOSighting. Curious City will follow the hashtag like a slathering shark on a shimmering school of silver swordfish.